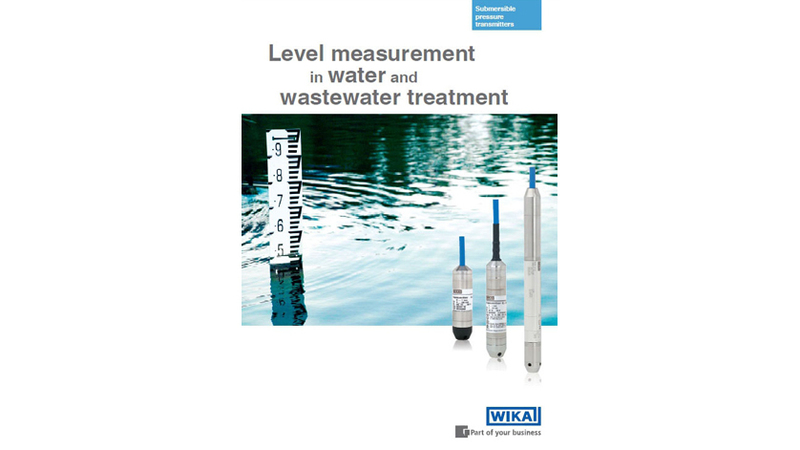 The new brochure “Level measurement in water and wastewater treatment” offers a comprehensive overview of the most important level measurement applications in the water and wastewater industry. Many application examples show WIKA’s submersible pressure transmitters in the control and monitoring of all process stages in municipal water systems. From hydrometric ground and surface water monitoring, through water extraction, storage and consumption of fresh water, to wastewater treatment – for all applications in the water industry, you will find matching product examples. Finally, the brochure offers a simple and clearly structured selection guide for submersible pressure transmitters in the applications of fresh and drinking water, wastewater, oils and fuels and aggressive media. For further assistance or a detailed application consultation, please use our contact form.